Royal Mail has called on UK postal regulator Postcomm to allow it to price mail by size rather than weight. The state-owned operator said the changes were needed so it could continue to provide a 'one-price-goes-anywhere' postal service. 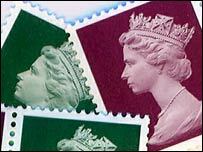 Royal Mail is facing increasing competition in its domestic market. It said the proposals would see a fairer and more simple pricing system, better reflecting the actual cost of handing mail. Royal Mail's head of size based pricing, David Dale, said: "These proposals would bring our prices more in line with our costs." He said: "In the new competitive postal market it is commercially impossible for Royal Mail to keep its traditional pricing structure." Royal Mail's pricing structure has been in place for decades, and was inherited from a time when mail was sorted by hand. Mr Dale said: "Most other postal administrations already use size in pricing mail because this is the key cost factor in the modern postal industry." Royal Mail insisted that the changes would not increase Britain's overall postal bill. Mr Dales said some customers would experience price rises and other price cuts, but the vast majority - 74% - would be unaffected by the proposed changes. Under the plan, the number of stamp prices for First and Second class post would be reduced to five, instead of the current 16 for First class and 13 for Second class. Countries which already take account of size in their prices include Germany, Ireland, Australia, Japan and the United States. "Size-based prices could be introduced by September next year"